Years ago I spent time in Glacier National Park. This truly wondrous natural environment has some of the most splendid lodges in the National Parks system. I was completely taken by their furnishings and fixtures. easterners who ventured west on vacation. Teddy Roosevelt, an extremely popular New York State politician and eventual U.S. President, built much of the western mythos that endures today. As a sickly child, his wealthy family sent him west for his health. He spent much of his youth in the Yellowstone area, and, as President, was instrumental in the designation of several western areas as part of the National Parks system. His personal story as a man redeemed by the Western American frontier appealed to the public, who imagined some part of that life for themselves. His version of life on the frontier translated into a visual style of indoor furnishings that drew in the outdoors, without the inconveniences of camping. 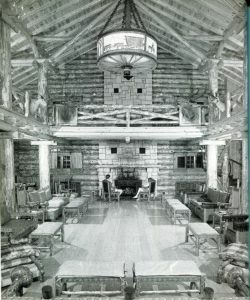 After the establishment of Glacier as a National Park in 1910, Great Northern Railway built several resort hotels in the park. 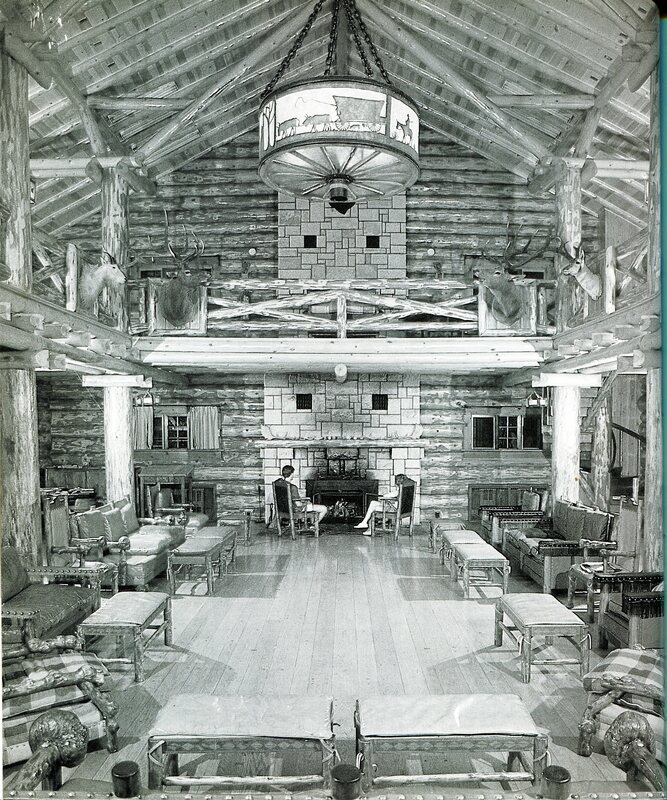 The lodges became destinations, built to impress tourists with the grandeur and spaciousness of the western landscape. interiors and furniture were designed with this purpose in mind. Thomas Molesworth was an American furniture designer and significant figure in the creation of the Western Style. His furniture and accessories used hides, horns and natural woods. 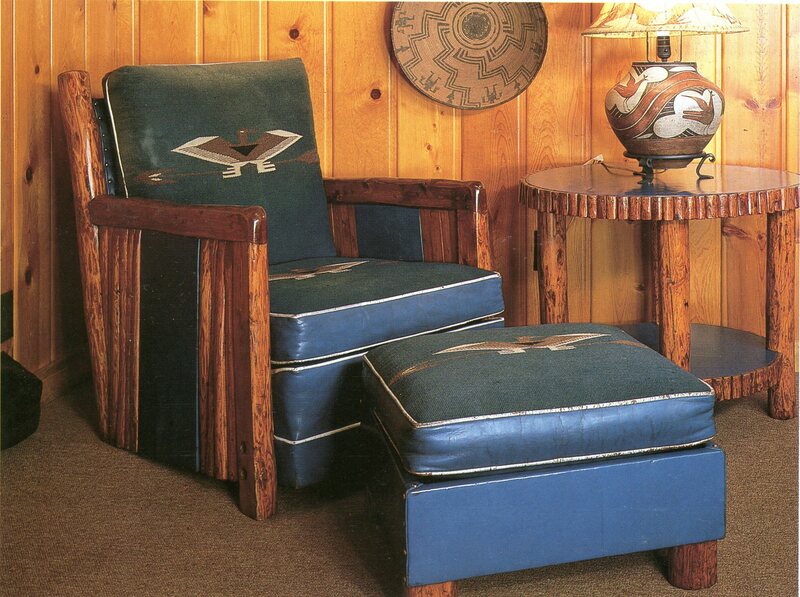 He drew his style from the Arts and Crafts Movement and from design characteristics of western ranches and farms. Ever the imaginative and masterful self-promoter, Molesworth sold authentic western and Indian-made accessories alongside the commercial furniture lines in his Wyoming store. He designed and built his own furniture too, bringing more refined materials and finesse to ordinary ranch-style furnishings. and dining table, Stickley Mission-Style Morris chairs and a Monterey sofa. Email or call me at 626-221-5244 to design and build an eclectic mix of furniture for your home.